A Showcase of Superlite II XL in School Settings. 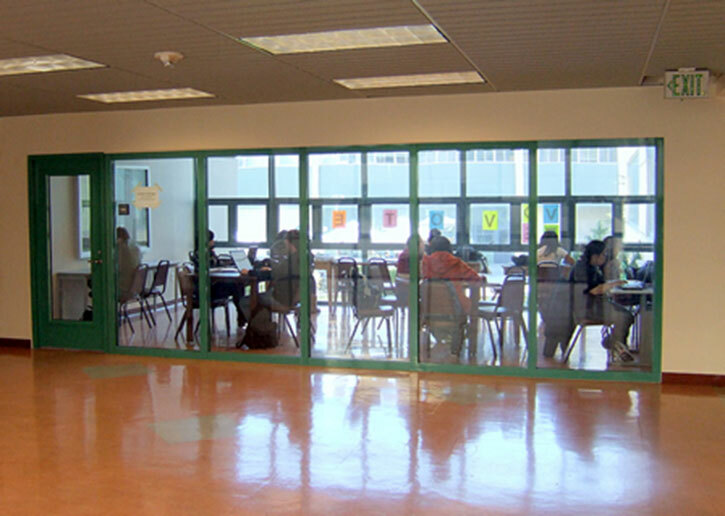 These stunning examples of fire resistive glass in schools provide radiant heat protection 24/7. 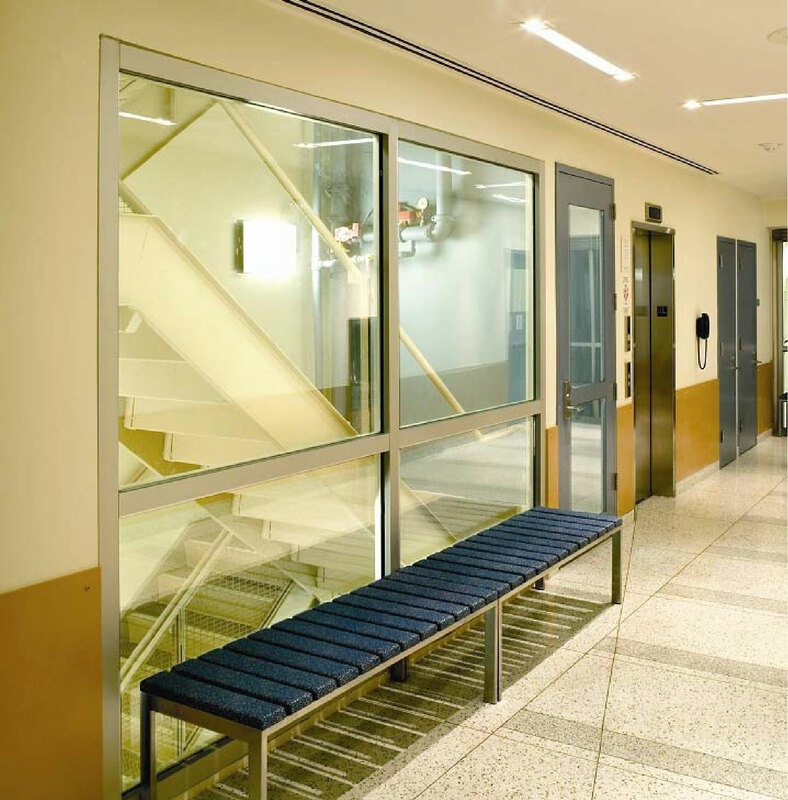 Technological advances in fire rated glass over the last 25 years have given school designers clear, fire-resistive building materials for use in one- and two-hour walls, fire doors, exit corridors, occupancy separations and other passive fire protection applications. Fire-resistive glazing blocks not only smoke and flames, but also deadly radiant heat which can easily make escaping to safety impossible and cause combustible materials to spontaneously ignite. 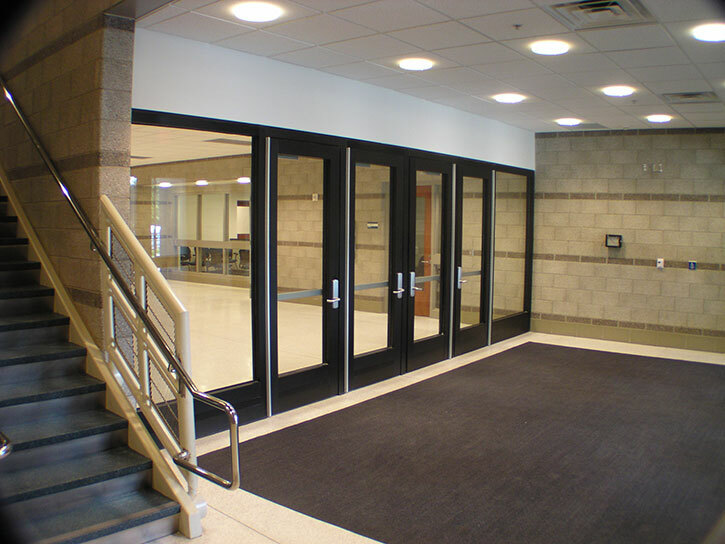 Click here to learn more how fire-resistive glazing can protect lives and school property by blocking radiant heat transmission. SAFTIFIRST offers SuperLite II-XL, a clear, fire resistive glazing product that provides the maximum fire and impact safety with hose stream and full radiant heat protection for up to 2 hours. 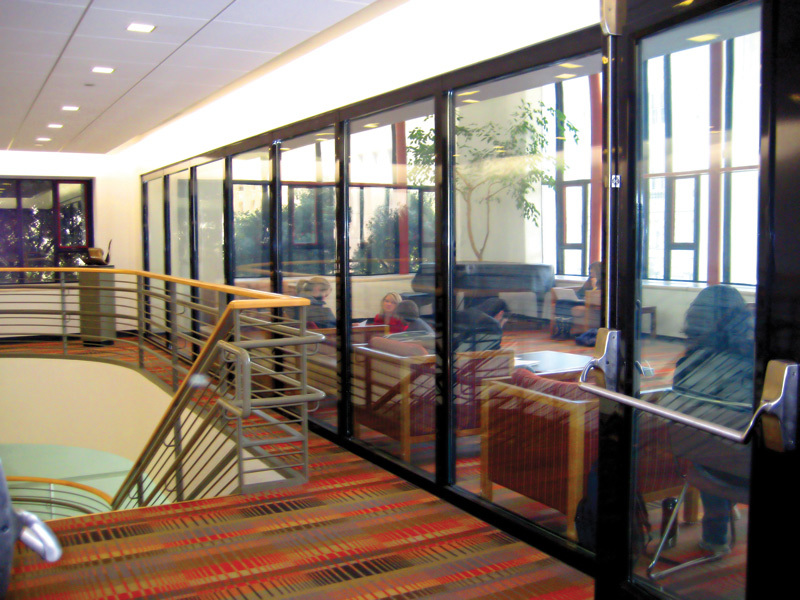 SuperLite II-XL does not have the 25% area limitations that fire protective glazing does because it meets ASTM E-119, the stringent wall criteria that blocks dangerous radiant heat and allows building occupants to exit a building safely in the event of a fire. 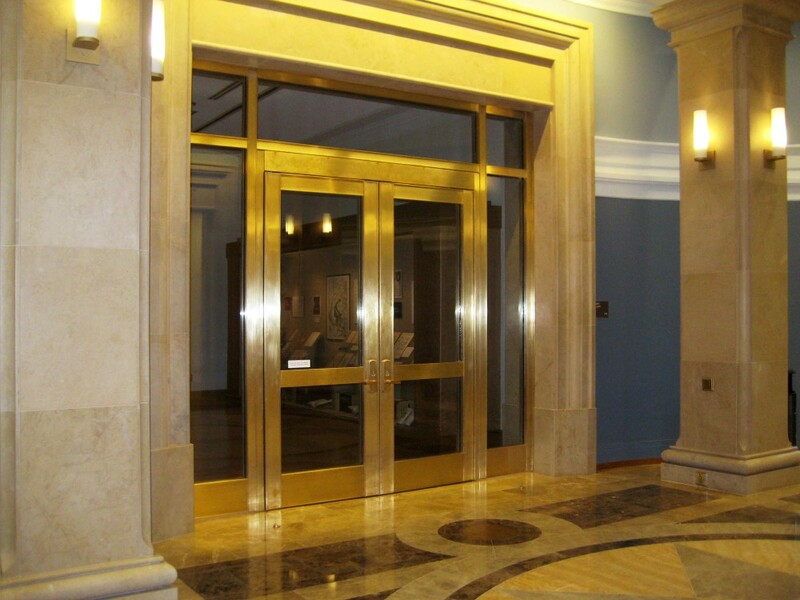 While building codes require 60, 90 and 120 minute applications to meet ASTM E-119, designers have an option to provide radiant heat protection for 45 minute doors, sidelites, transoms and openings with SuperLite II-XL 45, a clear, wire and tint free fire protective product with fire-resistive qualities. Tested to ASTM E-119, this product provides maximum fire and impact safety with hose stream, outperforming any fire-protective glazing product in any 45 minute application. SuperLite II-XL 45 can offer up to 33% in savings when compared to safety-rated monolithic ceramics, and up to 60% in savings when compared to laminated ceramics in the same application. SuperLite II-XL 45 not only saves money compared to glass ceramics, it saves lives. 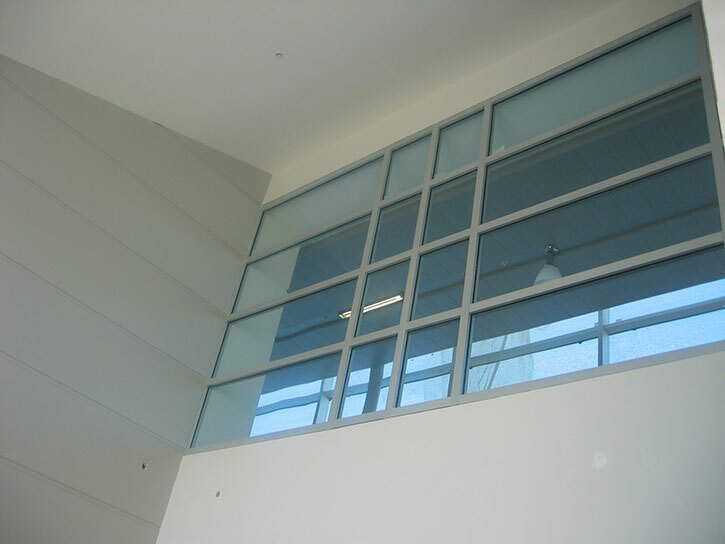 Glass ceramics provide very little resistance to the transmission of radiant heat waves. These wavelengths can penetrate through a wide variety of materials. That’s why glass ceramic is commonly used for cooktops and fireplace glass. It’s extremely efficient at letting the heat through. Using glass ceramic in lieu of fire-resistive glazing literally creates a vertical cooktop that poses a threat of severe injury and possible death to anyone passing by during an intense fire. 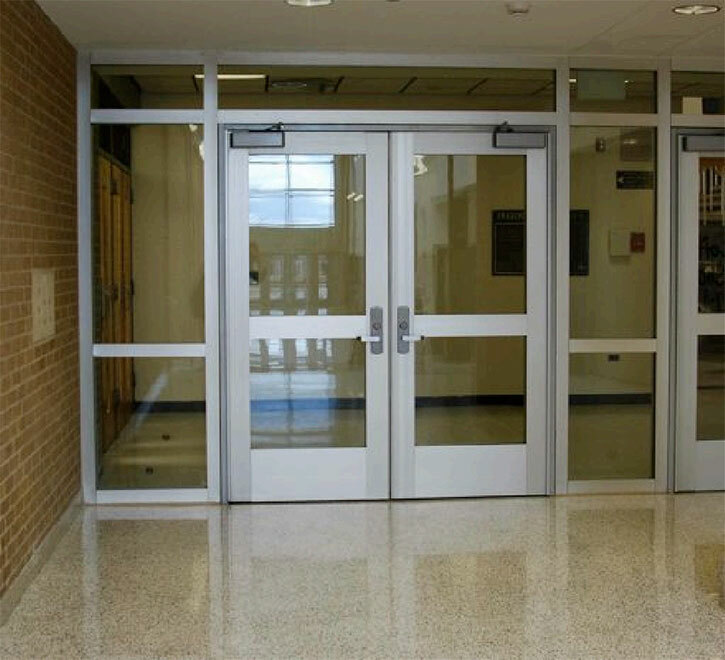 SuperLite II-XL 45 can be used in conjunction with SuperLite I to achieve a completely clear, wire- and tint-free door assembly (20-minute door with 45-minute sidelites and transoms) that protects against radiant heat while still costing less than it would to complete the same door assembly with ceramics. When used with an equally rated framing system such as SAFTIfire GPX framing, SuperLite II- XL can provide floor-to-ceiling and wall-to-wall design flexibility with unsurpassed clarity and the added benefit of sound reduction. 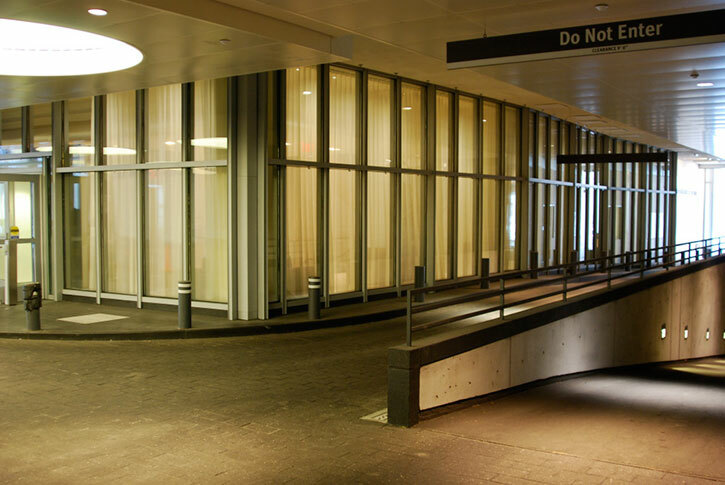 Furthermore, SuperLite II-XL is available in custom architectural make-up, which include insulated, laminated, energy performance, bullet-resistant, hurricane-resistant, tinted, patterned, frosted, mirrored, reflective, segmented, decorative and more. Currently, SuperLite II-XL with SAFTIfire GPX framing provides the largest clear view area available for 2-hour wall applications. An Exit Corridor. SuperLite II-XL 60 in GPX framing for the wall; and SuperLite II-XL 60 in HMTR framing for the door. Since the glazing area exceeds 25% of the wall area in this 1-hour wall, fire-resistive glazing like SuperLite II-XL 60 must be used. A Stairwell. SuperLite II-XL 120 in SAFTIfire GPX framing. Two hour wall. SuperLite II-XL 120 in GPX framing. Two hour atrium wall. SuperLite II-XL 120 in GPX framing. Two hour curtain wall. SuperLite II-XL 120 IGU in GPX framing. Full vision 60-minute door. SuperLite II-XL 60 in SAFTIfire GPX doors and sidelites. Freedom High School, Bethlehem, Pennsylvania. Michigan Technical Education Center, Kalamazoo, Michigan. Full vision 60-minute door. SuperLite II-XL 60 in GPX framing in doors; and SuperLite II-XL 60 in GPX Framing in sidelites.